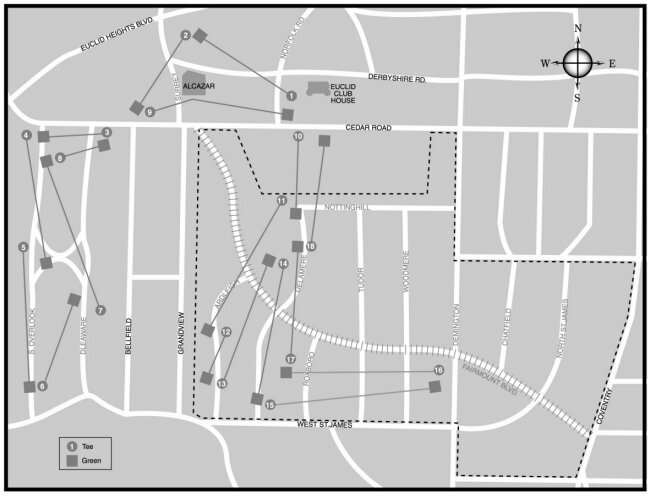 In the map above, the authors have laid out the approximate position of the Euclid Club's original 18 holes relative to the streets that were later installed after the club disbanded. The upper nine holes are on the land that would become the Euclid Golf Allotment. The street names in gray were not in existence while the club was in operation. The dotted line is the boundary of the Euclid Golf Allotment. Thanks to William Barrow for sourcing the original links layout from an early Plain Dealer article. Thanks to Diana Fisher for drawing the map.